Holiday prints… Amanda style! This carefree collection has all the wonderful color and charm you’ve come to expect from Amanda Murphy designs. 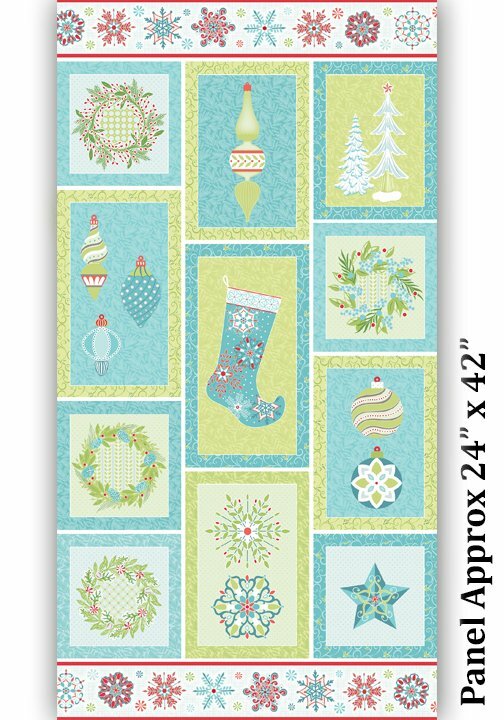 There’s a great cut-away panel with stockings and ornaments; beautiful snowflake, wreath and ornament prints; cool mini prints and stripes; all done in a soft palette, just perfect for modern holiday decorating. Be sure to visit Amanda’s site, amandamurphydesign.com for more great project ideas.